"In addition to weakness in demand for Apple's products in China and other emerging markets it also looks like the balance of price and features in the iPhone XR may not have been well-received," Rod Hall wrote in a note to investors seen by AppleInsider. "Our estimates remain at the lower end of Apple's guidance range at this point as we believe the company likely included this more negative scenario in its provided range." Hall also cited "severe Chinese demand weakness in late Summer and a stronger U.S. dollar" for reasoning behind the firm's latest prognostications. Hall had little else to say in the note, other than cutting the price target for the stock to $182, down from the previous estimate of $209. Before market opening on Tuesday, Apple stock is valued at $181.93, hit nearly 20 percent of its value since the earnings report. In September, Goldman Sachs had a price target of $240 that the firm raised because it badly missed guesses at iPhone X sales volumes. It isn't clear where Hall is getting his data, however. The iPhone XR has been available for a month, and Apple hasn't released any sales figures. In all likelihood, Hall is drawing from lower-than-expected component orders made by Apple previously cited as signs of weakness in the iPhone market several times by other analysts in the last month. Historically, those data points have ultimately resulted in little real-world effect as demonstrated by Apple's actual results. In the last quarter's financial earnings report, Apple forecast a wider revenue range than normal between $89 billion and $93 billion, twice as wide as usual. Should Apple hit even the $89 billion low-end target, it will be the company's largest holiday quarter in history. Apple's decision to stop providing unit sales figures appears to be shaking analysts, as it will make forecasting seasonal sales much harder to predict. 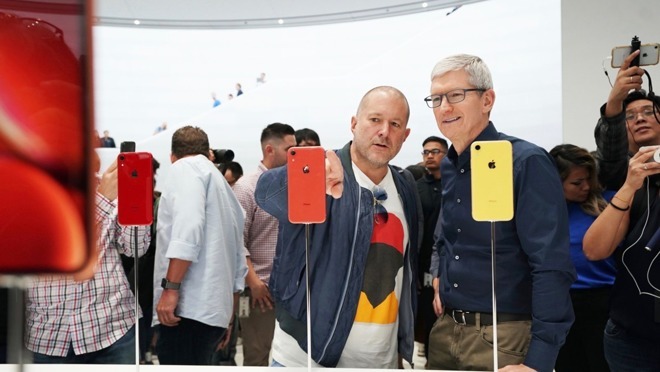 There has also been a warning from CEO Tim Cook to anticipate a softer forecast than analysts would usually expect, partly caused through the relatively late introduction of the iPhone XR and foreign exchange rate issues.